When my Antler Juno arrived from Luggage.co.nz I was beyond excited. Some people would say a suitcase was boring, but for me, a suitcase is everything. It also means adventures on the way. The suitcase that stole my heart? 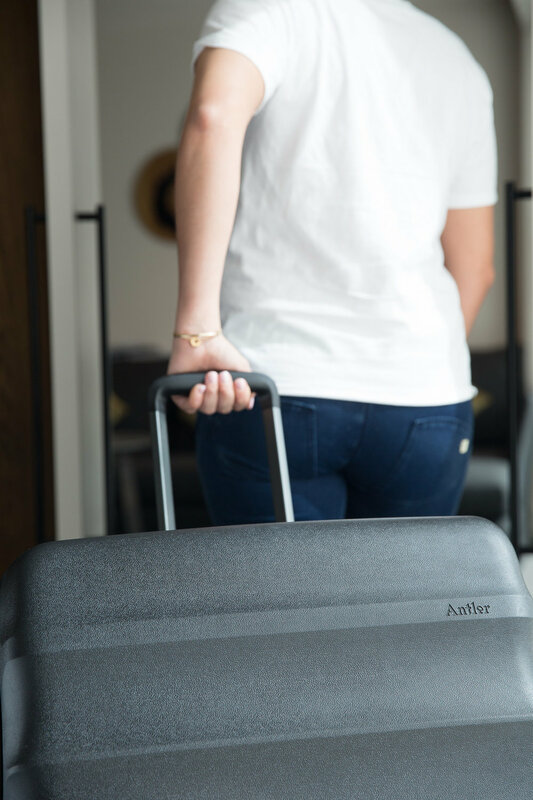 The Antler Juno Hardside Spinner Suitcase. The black beauty or the dark knight to come with me on adventures. Made from durable polypropylene, she is lightweight and durable. But what am I most excited about? The Four 360 Spinner wheels! No more ankle bitting trips! Why the black? A few reasons. Firstly I haven't had a black suitcase in forever, my last one was grey and pink! Antler has a wide range of colours to pick from yet I choose black. The plan with this baby is she'll be with me for the long haul (She has a 10 Year Manufacturers Warranty), and I want her with me each trip that I take. Like a boss, I will collect stickers for her and make her my own. Now thanks to Luggage.co.nz because they actually helped me pick out the suitcase of my dreams. Check them out online and any questions just ask! Hollie and the team are outstanding. The have also given me a little discount code so if you want to pick up some travel essentials now is the time. Just use THEMODERNGIRL at check out!